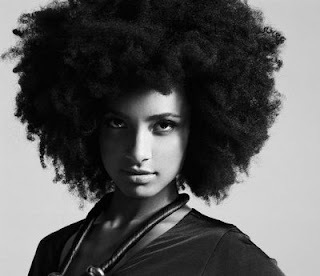 Aye' Shanti Design: Black History Month Love: Esperanza Spalding "Black Gold"
Black History Month Love: Esperanza Spalding "Black Gold"
For some reason, February 1st opened like a Lion! It's Black History Month and also early yesterday we learned of the passing of Soul Train's conductor, Don Cornelius "He was a Cultural Game Changer on a Global Level" - Al Sharpton R.I.P. Don Cornelius. 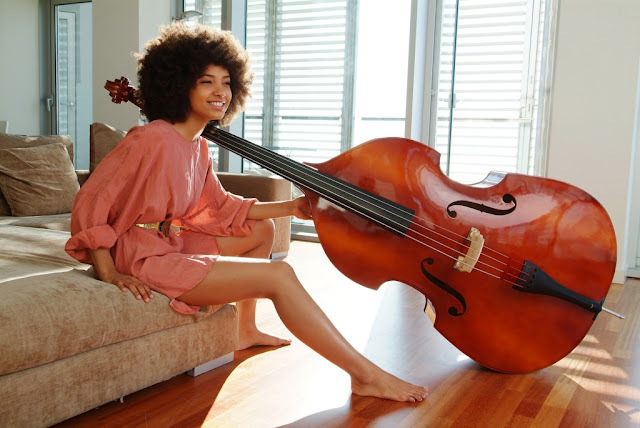 Also, one of my favorite artist, Esperanza Spalding debuted her new video "Black Gold"
If you remember the talented afro'-rockin'-sista who received a Grammy for I believe, Best New Artist (literally had Beiber fans in an uproar, please tell dem sit down lol)! This video was a refreshing vibe of jazz, soul and just Brown Sugar vybes. The video featured a touching connection of a father teaching his sons BlackHistory in a book entitled "Black Gold". It brought tears to my eyes because it reminded me of my childhood with my parents and them teaching me not only Black History but CULTURAL HISTORY... THANK YOU ESPERANZA for blessing us with such a beautiful video! Oh I think I have a new girl crush! I've heard the name since everyone is talking about her latest album but I only listen to NPR news radio so I've missed her music- thanks for the tip- I'm buying her album- she's amazing!